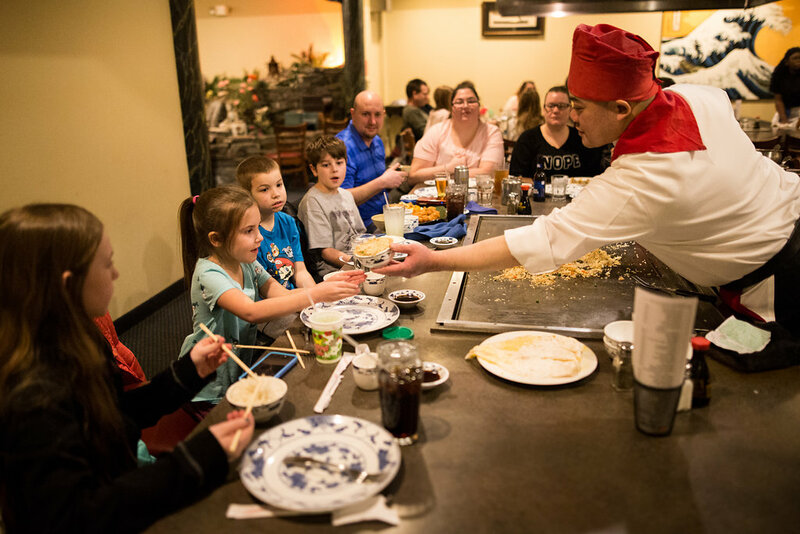 Welcome to our award-winning Japanese Steakhouse. 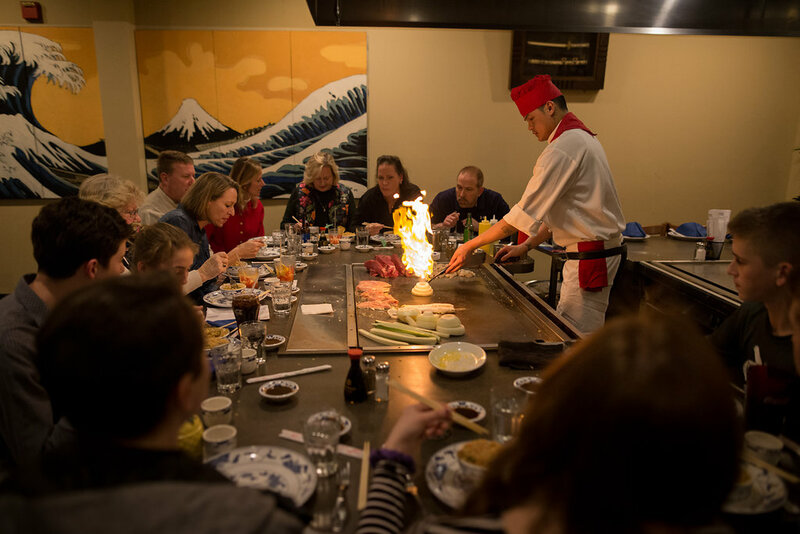 We invite you take a seat at one of our hibachi grills for an unforgettable evening of exciting entertainment and great food. 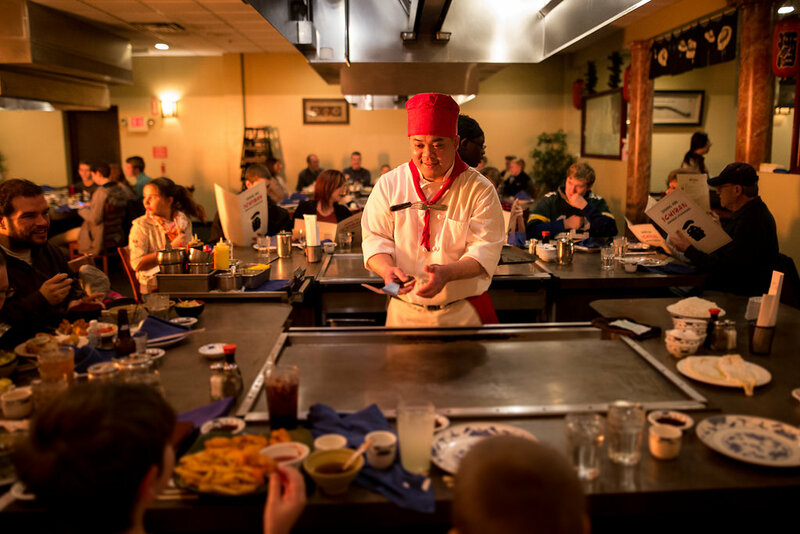 After looking at our menu and making your decision, you will be introduced to your table’s very own hibachi chef. 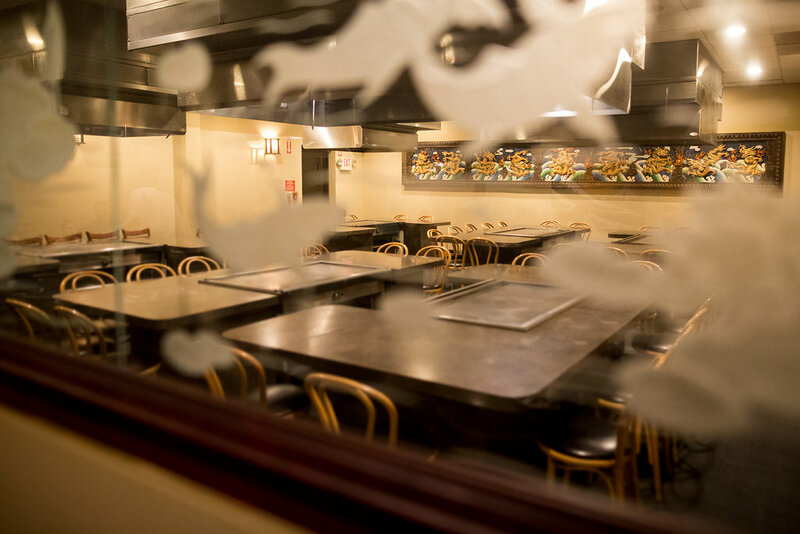 Your meal will then be prepared and cooked to your specifications right before your eyes. 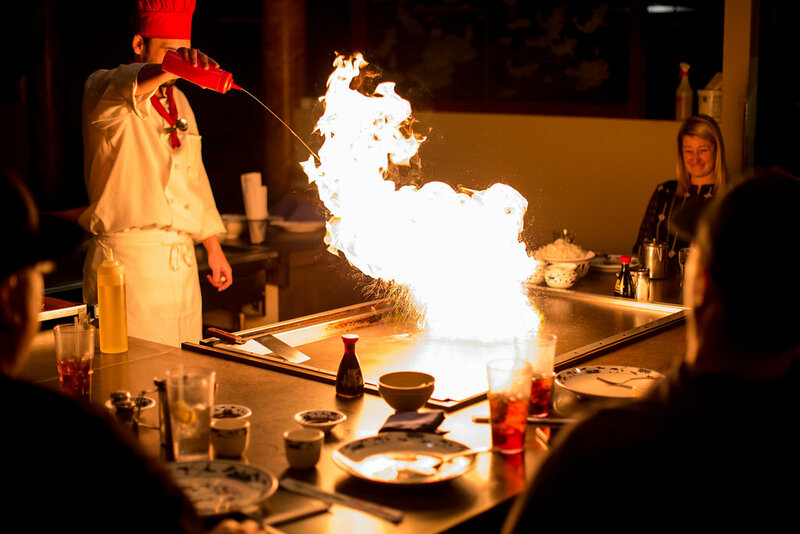 Each of our chefs are highly skilled in the art of hibachi cooking, bringing to the table their own unique personalities and talents. 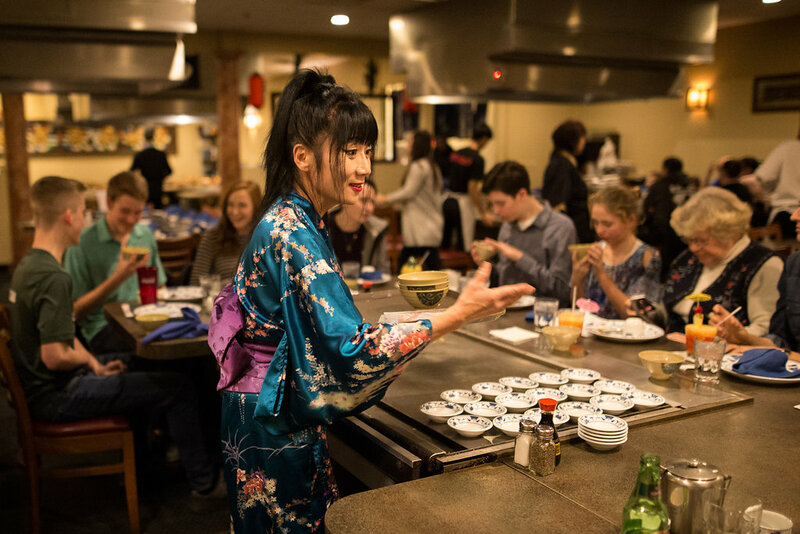 Your chef will begin your show with a few introductory tricks and flare, capturing the audience’s attention by tossing and flipping their cooking utensils. 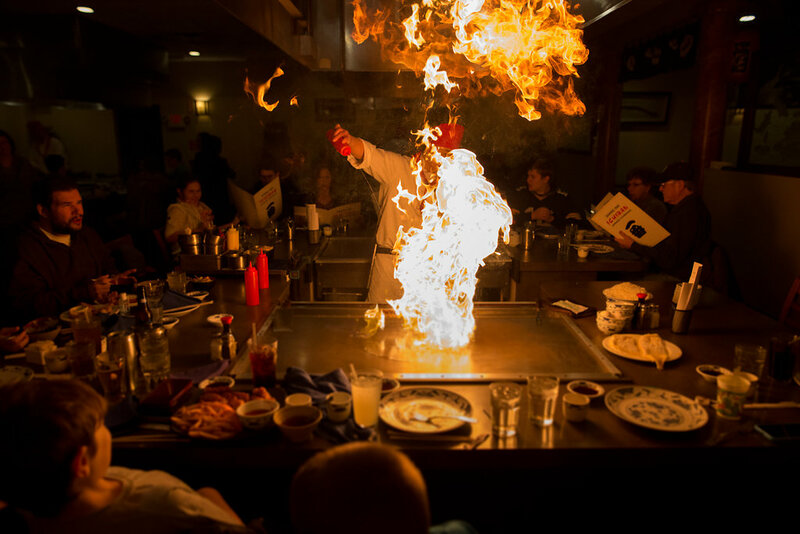 Minutes later, you will find yourself immersed in the show and forget it’s your appetite that brought you to our restaurant. Once the show is done, you’ll be rejoiced to find an overwhelming plate of hot food to devour. 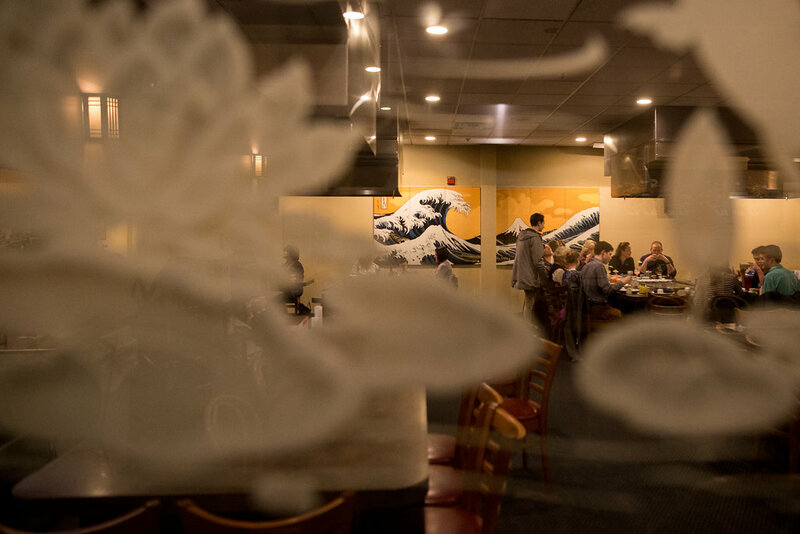 Sushi can also be ordered in addition to your Japanese Steakhouse dining experience. 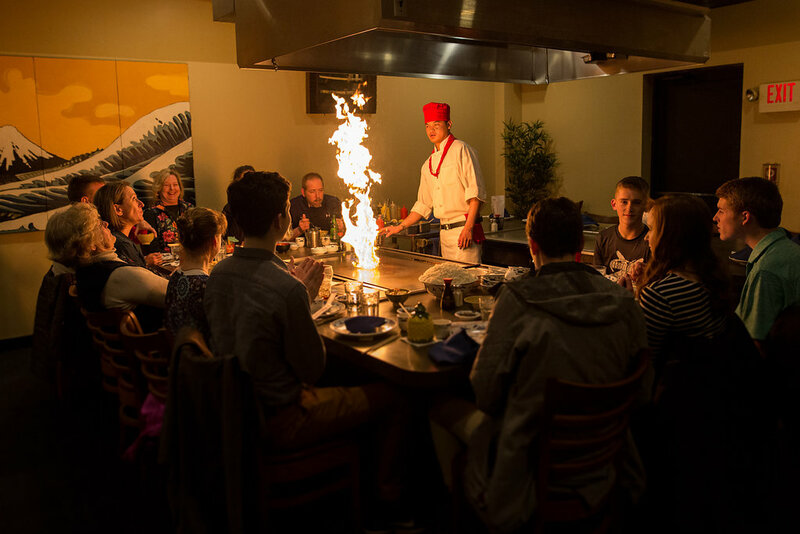 Our Japanese Steakhouse is great for large groups or parties. Please make reservations in advance for these events. 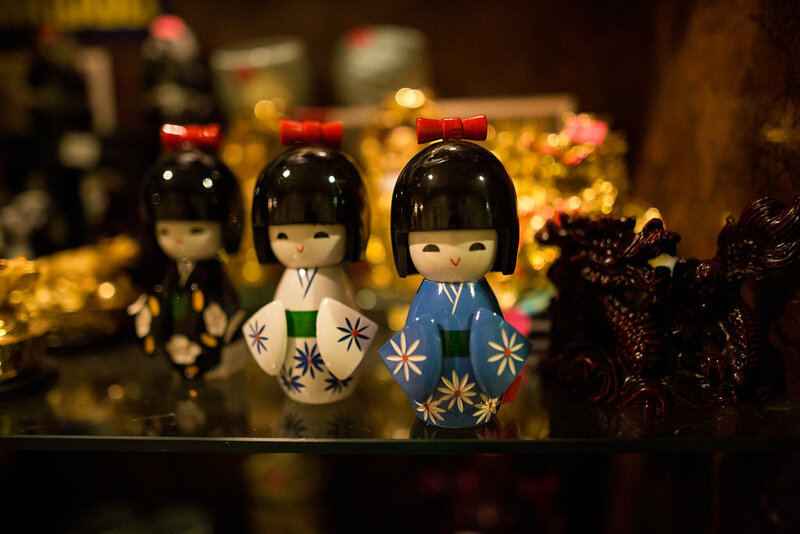 Semi private dining events available for parties up to 150+ people. Ask for more details.